Ramadan is the ninth month of the Islamic lunar calendar, the month when Muslims participate in 28 days of daylight fasting. Use of the lunar calendar means the Islamic calendar shifts slowly over time against the Gregorian/Western calendar. Over the next couple of years Ramadan will coincide with the northern hemisphere’s summer months, taking place between 9th July and 7th August in 2013. Just consider for a moment that London enjoys 16 hours of daylight in July; 16 hours when not even water is meant to pass a Muslim’s lips. Ramadan is celebrated by Muslim communities across the world: in North Africa, the Middle East, and Pakistan; and to a lesser significance for travellers in more secularised countries such as Turkey and Malaysia which have majority Muslim populations. 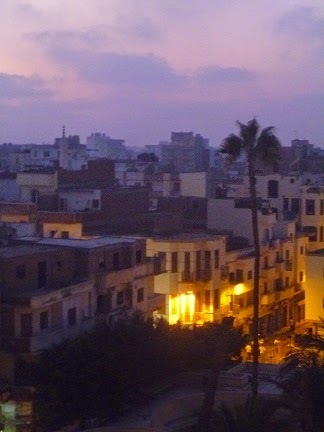 It’s fair to say that Cairo – where I was based for much of the time – got quieter, at least during the day. Streets I was using every day to get about the city were suddenly blocked off by colourful printed cloths wrapped around barriers to accommodate the additional worshippers attending mosque. At night, the streets are very different. Ramadan is a celebratory month – it’s the time when gifts (plasticky toys from China and new clothes) are bought for children, major thoroughfares are decorated with lights and lantern decorations, and fireworks are let off by teenagers looking to make a bang. Families break their long daily fast in restaurants, and as it gets closer to sundown (roughly 6.30 pm in most countries around the equator) tables get harder and harder to find. Families sit patiently, waiting for the all clear, their food already in front of them. Queuing in the heavy crowds at the counter of a fast food restaurant is as equally difficult to endure. I wouldn’t normally suggest this, but expat areas of the city are where the all-day cafés and restaurants will be found. Sometimes they keep their windows shielded to prevent offence to those fasting. They can be lonely places, and I generally preferred to snaffle a pre-prepared sandwich in a dark corner out of the way instead. Alcohol can be difficult to get hold of, with bars outside of hotels (like Alexandria’s famous Spitfire bar) tending to close for the entire month. Against this backdrop, life continues pretty much as usual. I found no problem with public transport, bar taxi drivers disappearing at sundown to eat with family. Embassies, official buildings, and museums remain open too, though opening times can be hit-and-miss. « How many Wales’ is that?